Parotia sefilata is a bird commonly known as the Western Parotia. They are one of those species of birds in which the males go out of their way to attract the females, and their colour patterns can be pretty cool, but you should see them dance. 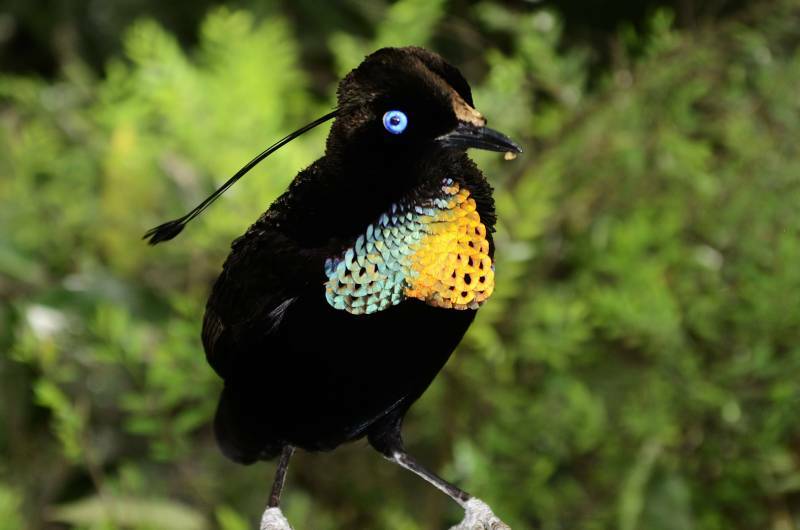 The Western Parotia is only found in Western New Guinea.